This paperback edition is written by the daughter of one of the most famous English rosarians, Peter Beales. 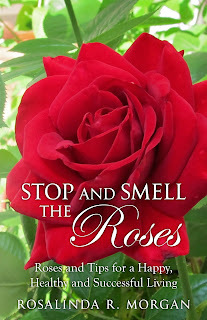 Amanda has written a concise guide to growing and taking care of roses. She tells you what roses are available, how to design your landscape with roses from formal gardens to garden for special situations. I like best the chapter on garden design. It gives a lot of ideas on how to incorporate roses into the landscape. There are a couple of pages where she lists some roses which will tolerate some shade. There are suggestions on what roses to plant in a difficult situation. There is also a calendar on what tasks have to be done in what particular month of the year. There is even a glossary for the novice and not so experienced rose gardener. An inexpensive but excellent guide!